What software is in your closet? 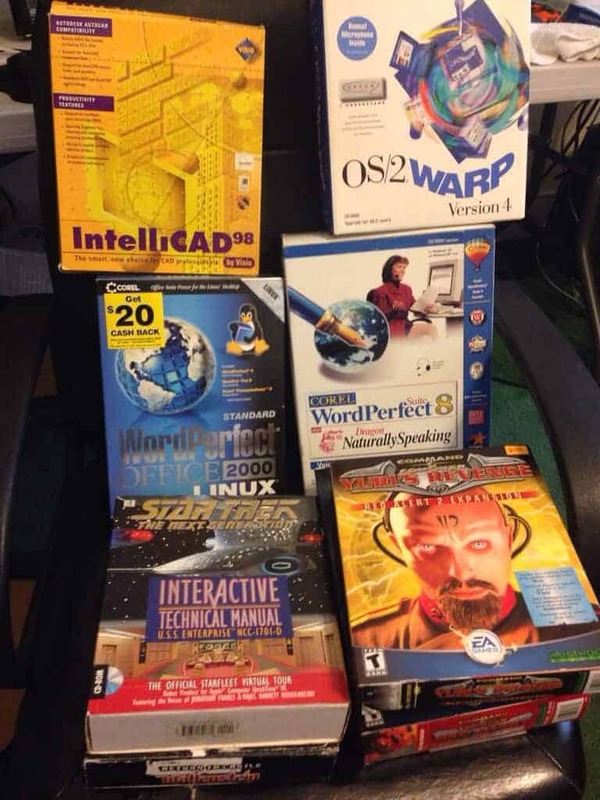 De-cluttering my room and looking at some of the software’s I’ve used in the past with a look to clear up some space. The Trinidad and Tobago Computer Society (TTCS) is pleased to announce the availability of the TTCS OSSWIN DVD v0.8.9 as a free download on July 1 2013. The TTCS OSSWIN DVD is a collection of nearly 100 Free and Open Source Software for home and business (i.e. any) users using the Microsoft Windows 8/7/Vista/XP operating systems. You can use your web browser to read detailed information about each program in this compilation : what the program does, its key features, useful related websites, view a screenshot, find links to the program’s website and to download/install the program from the TTCS OSSWIN DVD. The web-based interface allows you to quickly browse the variety of software organised into various categories. Use a program like VisualHash or WinHasher to hash your downloaded file to see if it matches the hashes here. If your downloaded file hash is different, then your downloaded file is different from the file the TTCS has published. 7-Zip 9.20 file archiver with high compression ratio. Sumatra PDF 2.3.2 slim, portable, Free and Open Source Software PDF viewer for Windows. WinMerge 2.14.0 WinMerge is a Win32 tool for visual difference display and merging, for both files and directories. Speedcrunch 0.10.1 fast, high precision and powerful desktop calculator. GIMP 2.8.6 bitmap editor suitable for photo retouching, image composition and image authoring. Mozilla Thunderbird 17.0.6 powerful e-mail and newsgroup client. HTTrack Website Copier 3.47.20 HTTrack is a free and easy-to-use offline browser utility. PDFCreator 1.7.0 easily create Adobe Acrobat® PDFs from any Windows application that can print. ClamWin Free AntiVirus 0.97.8 Free Antivirus program for Microsoft Windows 7/Vista/XP/2000/Me/98. Folder Size 2.6 adds a new column to the Details view in Windows Explorer to show the size of folders. AxCrypt 1.7.2976 File Encryption Software for Windows. The vulnerabilities in versions of Adobe Flash before April 9 2013 could allow for execution of unwanted code (typically malware), without your consent just by visiting a website with malicious Flash applications or video (SWF). Therefore, you should update your Adobe Flash Player to the latest version to close this loophole. Windows users should note that the Flash Player in their Microsoft Internet Explorer browser and the one in web browsers like Opera, Mozilla Firefox and Safari are separate installs. You should install and update both versions of Adobe Flash. Windows users should note that the Flash Player in their Microsoft Internet Explorer browser and the one in web browsers like Opera, Mozilla Firefox and Safari are separate installs. You should install and update both versions, by visiting http://get.adobe.com/flashplayer/ in Internet Explorer and then with your other web browsers. Android users, To verify the version of Adobe Flash Player for Android, go to Settings > Applications > Manage Applications > Adobe Flash Player 10.x . Microsoft has releases Windows Vista Service Pack 2 (SP2) and Windows Server 2008 Service Pack 2 for download. The 32 bit versions of Windows Vista SP2 and Windows Server 2008 SP2 are combined in one standalone installer. Likewise for the 64 bit versions of Vista SP2 and Server 2008 SP2. Read more about Windows Server 2008 SP2 at Microsoft TechNet. More details about Windows Vista SP2 and Windows Server 2008 SP2 at the Windows blog .